Discussion in 'Sea Fishing Forum - Shore, Boat & Kayak Fishing' started by bigcod, Sep 26, 2015. 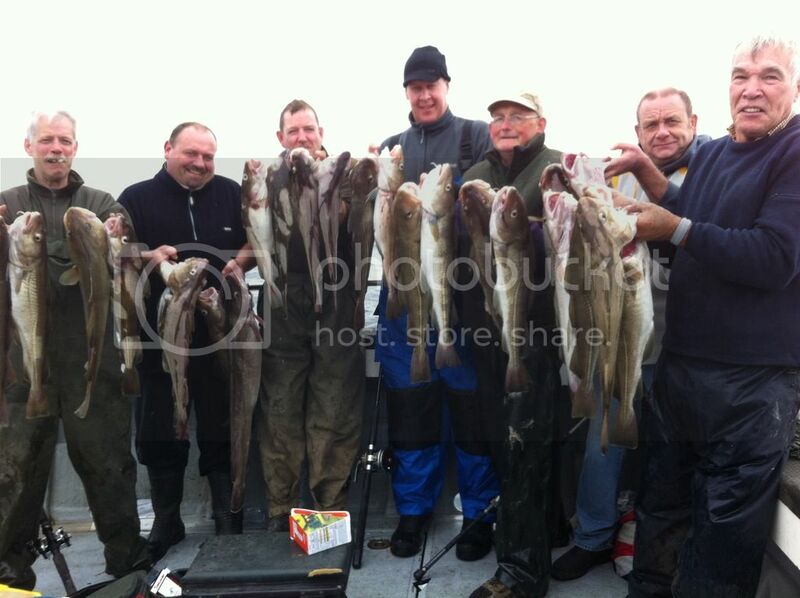 The offshore wrecks have been fishing very well indeed infact the fishing has been awesome the lads on saturday on Sea-Otter 2 hadnt seen anything quite like it and with a lovelly flat sea just what more could you ask . Its the time of year where it can go nutts out there but as i allways every day if different the inshore wrecks have also been very very good this year . 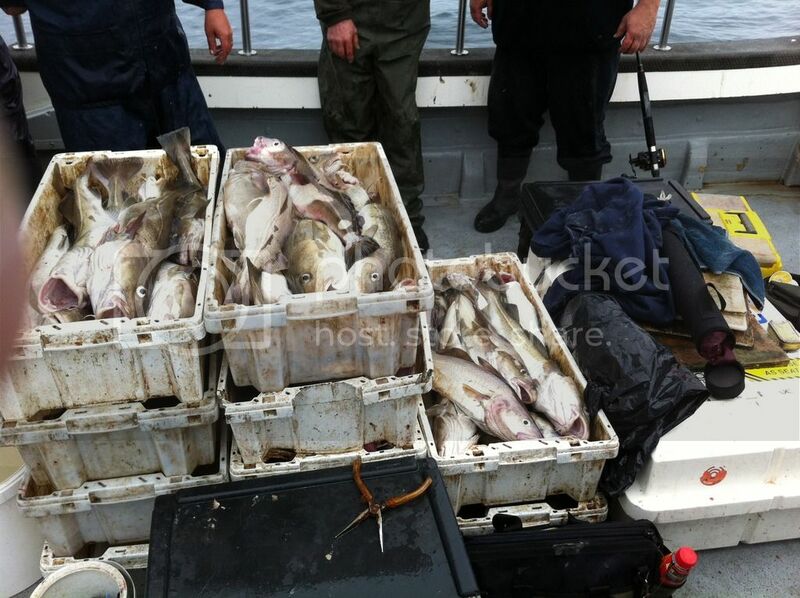 These lads had a day they will not forget very quickly some excellent fishing and there freezers now have plenty of prime cod fillets in to have over the winter months. They wont be buying fish for a long time. With a 6.2mtr tide today giving the uptiding another bash its due to go mental tight inshore .